Please check us out on Facebook for more details on our exciting events at the vineyards! 12 Corners 4th Anniversary Party! Twelve Corners has been around for 4 years now! Can you believe it? Neither can we! With all the hustle and bustle and wine these past few years have flown by! With any anniversary it's always nice to glance back and take a look at how and where you started. Southwest Michigan has long been an amazing agricultural area, an area that many rural dwellers, farmers, and tourists have appreciated. Living by the lake we had a buffer from the extreme cold during the winter, yet still were blessed with the heavy precipitation that goes so well with many growing plants. 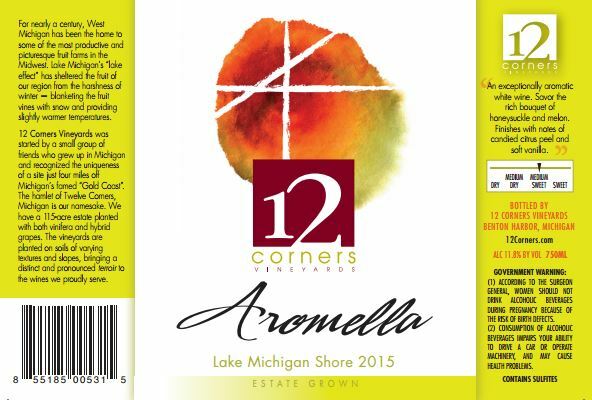 12 Corners Vineyards was started by a small group of friends who grew up in Michigan and recognized the uniqueness of a site just four miles off Michigan's famed "Gold Coast". It was here that the prosperous soils have created the grapes that you all are so fond of tasting. The heavy and pleasant sweet honeysuckle and melon aromas tantalize the senses for this sweet varietal. The wine creates a smooth and wonderous experience that finishes with notes of vanilla and citrus peel. With an enticing aroma of geraniums our semi-sweet blend has a sweet and fruity burst of flavor. Served either at room temperature or chilled this wine has both sweet and dry characteristics to it and is a fantastic wine to drink with hearty meals, or to just sit and drink on the porch. This stainless steel aged dry white wine is crisp and rich in varietal character. River Stone White is a wonderful harmony of green melon and herb flavors with a sassy bite of citrus. * Join us for your next group tasting. Please call in advance with parties of 6 or more. 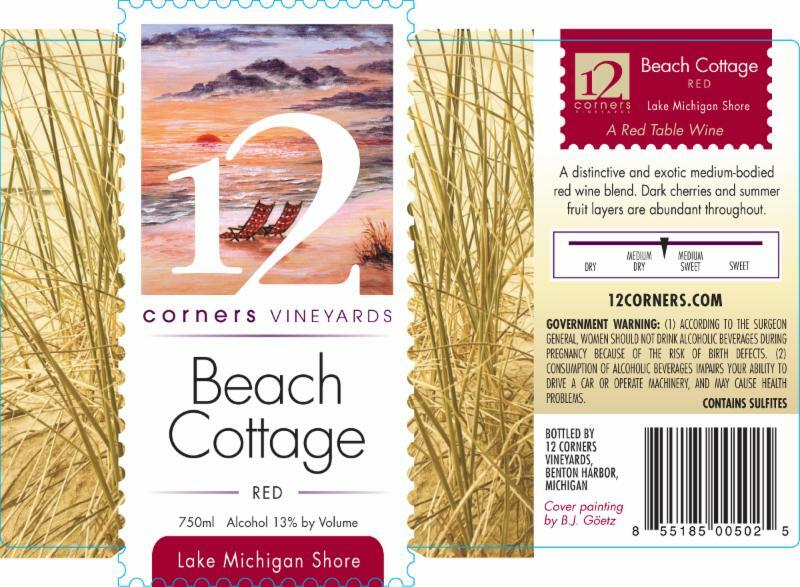 12 Corners Wine Club Members enjoy 20% off all wine purchases! You may pick up your monthly wine club selections at a tasting room to save on shipping fees. Must be 21 years of age and have a valid credit card to join. Go to www.12corners.com for more information.